Made of elegant navy blue velvet, this challah cover combines the holiness of Shabbat and the Seven Species, which the Torah named as staple foods in the Holy Land of Israel. 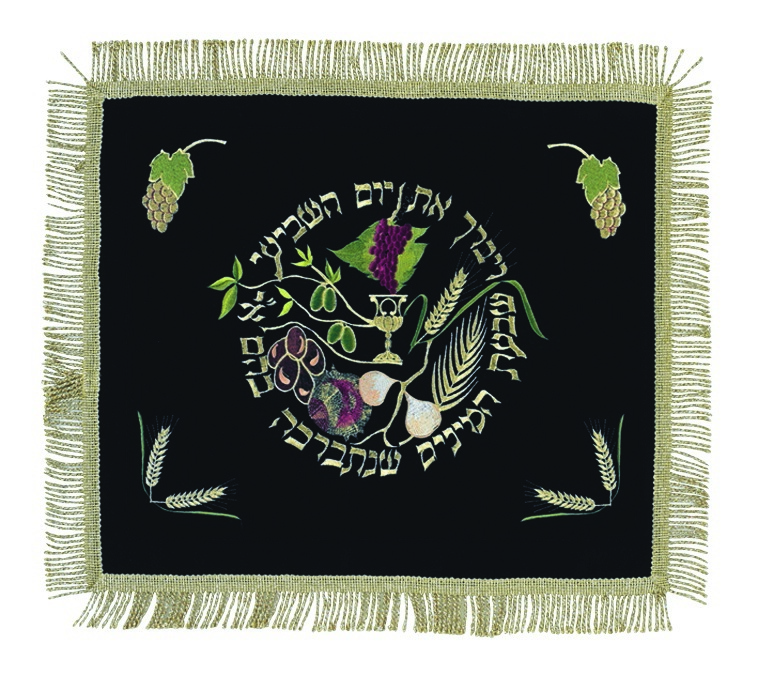 The center of the challah cover entails colorful embroidery of the seven; Wheat, barley, grapes, figs, pomegranates, olives and dates. The Hebrew words “Vayivarech et yom ha’shivi’ee”, which means “and He blessed the seventh day” are embroidered in the upper arch, while the bottom half of the circle consists of the Hebrew words “Shivat haminim shenitvacha bahem Eretz Yisrael”, “the Seven Species that Israel was blessed with”. The edges are finished with twisted tassels.